A new, massively multiplayer battlefield is in the works for the upcoming version update. Einherjar is an ever-changing multiplayer battlefield based in the Hazhalm Training Grounds. Because the monsters appearing in the dungeons will differ with each visit, a balanced party consisting of skilled, high-level players is recommended to clear these challenging missions. 6 to 36 players, level 60 and above, can enter each chamber of the Hazhalm Testing Grounds. An item similar to the hourglass used for Dynamis will allow parties to reserve one of the multiple areas, and will be required for entry. No previous Aht Urhgan missions need to be completed before participating. After a party chooses a room, they will have 30 minutes to wipe out all the enemies before being teleported back out of the area. This time limit cannot be extended. Each area consists of a large room filled with several weak monsters, and one powerful boss monster. 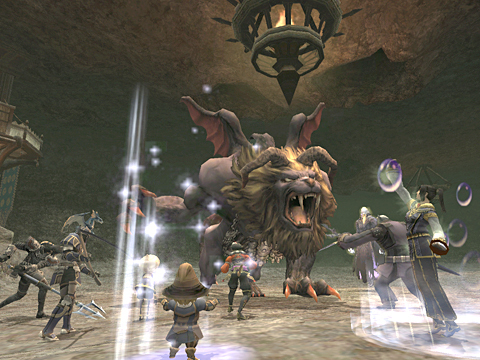 Parties must eliminate all the monsters in the area for the mission to be considered complete. Clearing all the chambers will grant players access to the final area where they will finally learn the secrets that lie deep in the bowels of Hazhalm. An Assault-like system is planned, where points earned in the Training Grounds can be used to purchase various items. 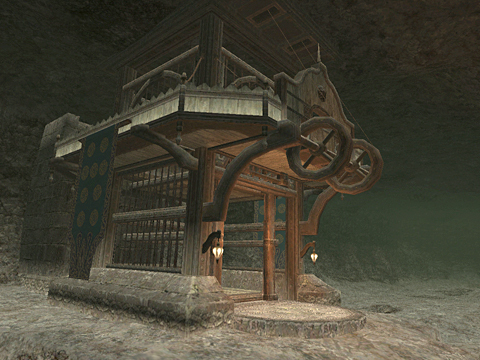 The monsters lurking within Hazhalm will also drop rare items that cannot be obtained anywhere else in Vana'diel.